A few updates on happenings here at the distillery. This Sunday, June 18th, all Father’s will receive free tastings on Fathers’ Day. Bring in Dad and enjoy four, half-ounce samples of our bourbon, rye, American whiskey and barrel-aged maple syrup! We’ve added a tour on Friday at 4pm in addition to our tours on Saturday and Sunday at 1pm and 3pm. All tours are complimentary and no reservations are needed. 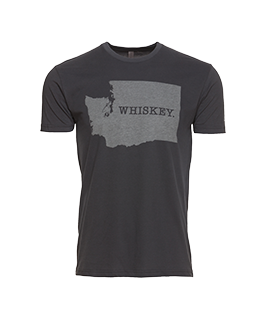 Our Washington state bourbon and whiskey shirts are now in stock and available on our website. Both the men’s and women’s are $20 each. We will be releasing a cask strength version of both our Flagship Bourbon & Rye very soon with a special release event here at the distillery. Our long anticipated Applewood Finished Bourbon will be available late summer/early fall for our Harvest Release event. Finally, we will have a very limited release of our Port Finished Bourbon around the holidays. More details to come on the new product releases in the coming weeks. We look forward to seeing you soon!